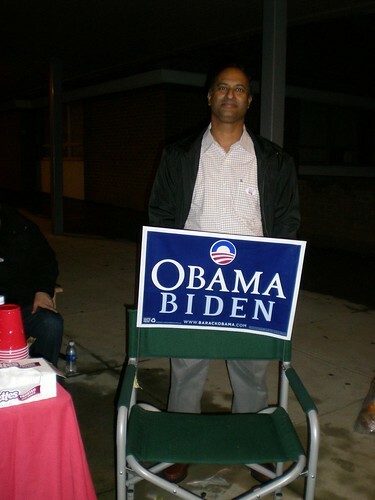 US Presidential Elections 2008 #votereport, originally uploaded by shashiBellamkonda. 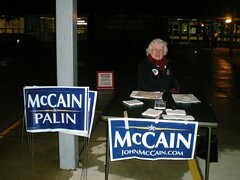 I took some pictures outside the polling booth in Rockville Maryland. 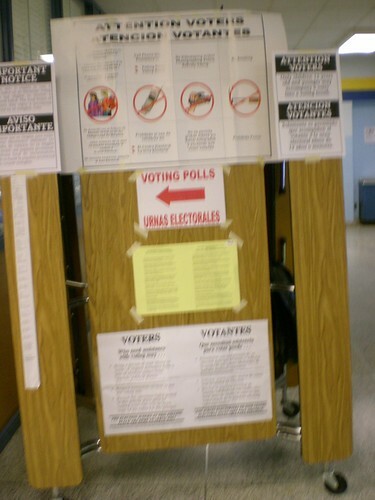 There was no line at 7 p.m one hour before the polls close. I think the number of questions were too much after the first screen that is for the Presidential election. The questions about Early voting, slots and the Montgomery county taxes question were far too complicated. There should be a madatory limit to number of words. It should say - do you want taxes to go up yes or no . It was thrilling experience and I am eager to wait for the results and gauge how my vote made a difference. I am glad and hope the election results will be in before tomorrow morning. In India it take a few days for all the results to come in . Atleast when I was there.